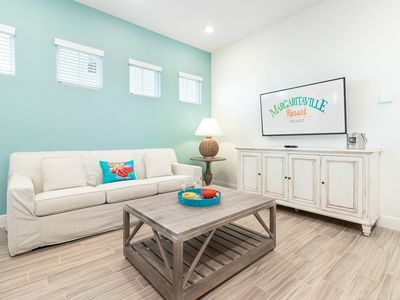 Amazing 5 bedroom and 3 bathroom vacation home is equipped with all you will need for a relaxing and enjoyable vacation including cable TV, Wi-Fi, fully equipped kitchen, washer/dryer, and private hot tub. 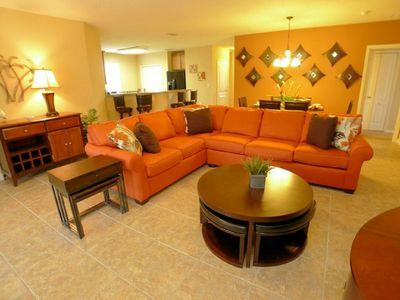 Located in Coral Cay Resort, this house accommodates up to 12 people comfortably. 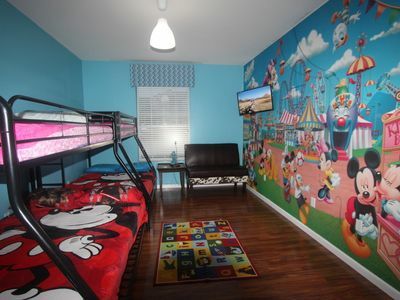 Downstairs is a queen bedroom with attached bathroom (can also access bathroom from hallway). 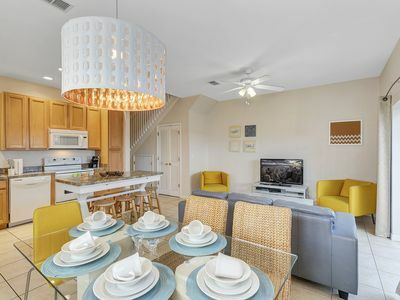 Upstairs is a true master suite with private en-suite bathroom and a king bed, guest bedroom with 2 full size beds, guest bedroom with 2 twin size beds, guest bedroom with 2 twin size beds, and a guest bathroom in the hallway. 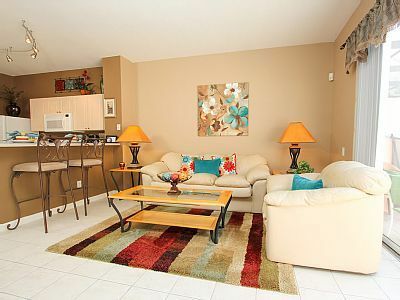 A private jacuzzi enclosed in a screened-patio will help you relax on a much deserved vacation. 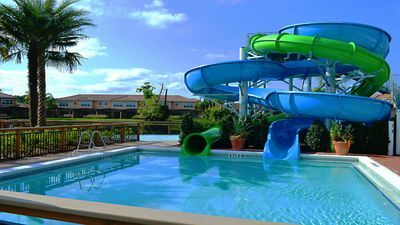 After a lovely warm day at one of the Disney or Universal parks you and your family can relax in the refreshing jacuzzi. 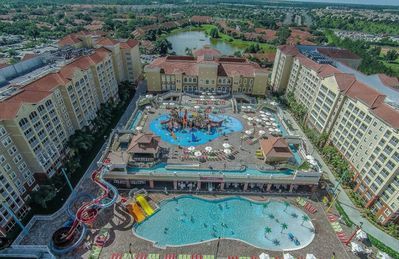 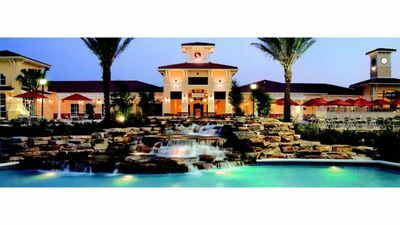 On site, the resort offers secure gated access, clubhouse with a movie theater and pool table, pool, hot spa and two playgrounds. 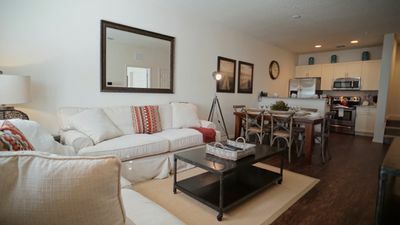 Toiletries and Household Items: We provide a starter pack for each reservation (including toilet paper, paper towels, trash bags, dish tabs/liquid, laundry detergent, bar soap, and shampoo) . 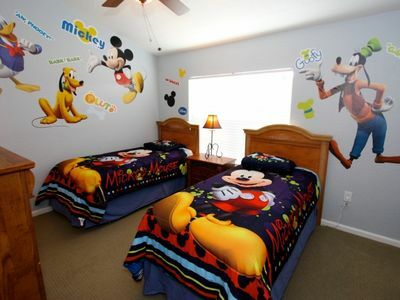 Any further items needed will need to be provided by the guest. 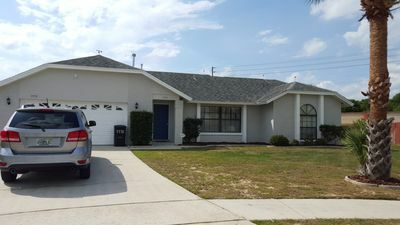 PERFECT 3BD TOWN HOUSE CLOSE TO WINDSOR HILLS CLUBHOUSE! 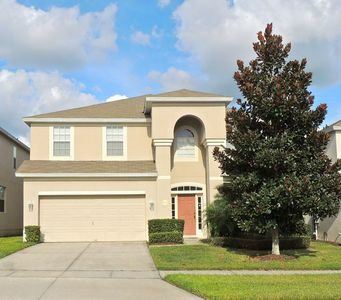 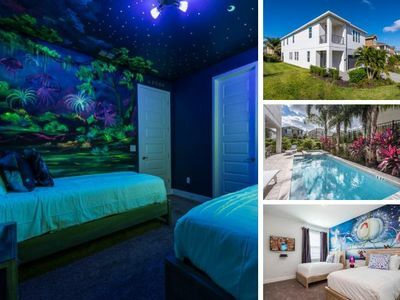 4bd/3ba Harry Potter & Frozen Themed Vacation Home! 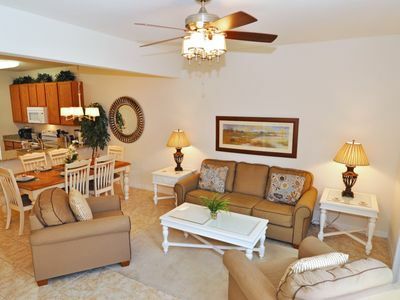 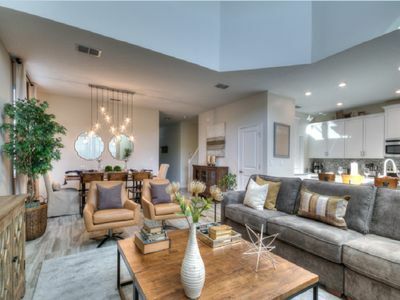 Welcome to Silver Palm Retreat, 3 bedroom townhome located in Windsor Palms. 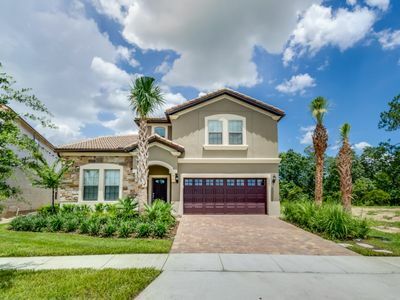 Orange Lake West Village ONE WEEK ONLY - July 7th - July 14th, 2018 only! 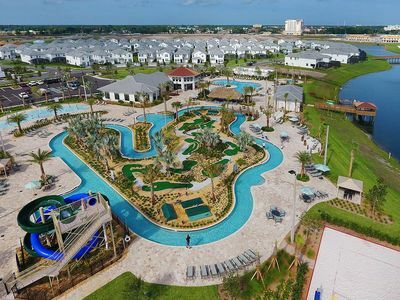 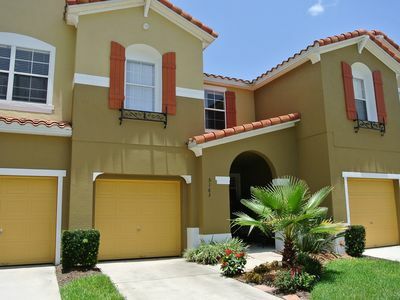 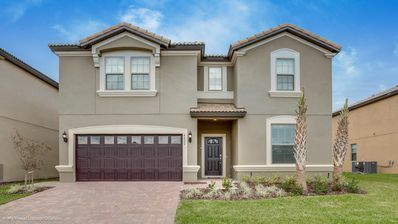 Townhome near Disney with splash pool!